Amazon was sold out of Kindle Paperwhite e-readers all of December with shipping dates for prior orders established for December 22nd. It seems that Amazon was waiting on a fresh batch from its Chinese suppliers to meet the demand of customers in the US. Amazon now has the Kindle Paperwhite wi-fi and 3G models in its possession and is shipping out outstanding orders. New purchases will be shipped out by December 26th, which will ensure you getting it as soon as possible. Retail locations are not as lucky, and most companies like Best Buy are completely out of stock. The UK Amazon website is showing that it has Kindle Paperwhite e-Readers in stock, but does not mention a date in which they will ship. 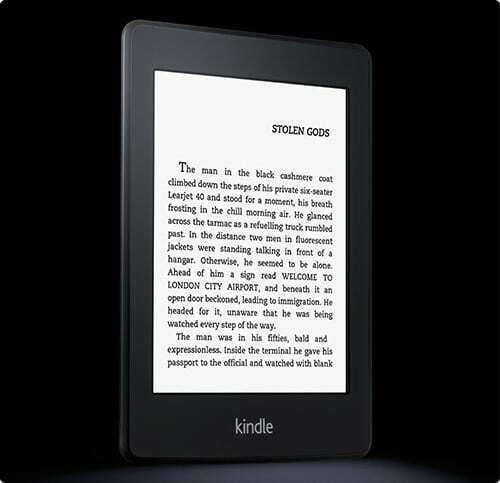 The Kindle Paperwhite is the most successful e-ink reader the company has ever produced. It uses a new type of screen technology where the light emerges from the bottom of the bezel and splashes evenly on the screen. Unlike tablets and computers, the light does not come from behind the screen. This allows unbridled viewing angels and the ability to read in the dark and not hurt your eyes. Honestly, switch it on, reading my first book 10 minutes later, and that *includes* setting up the account and CC details. Truly impressive.